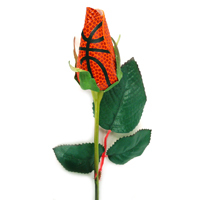 The Basketball Rose Boutonnière incorporates the same handmade Basketball Rosebud used on our regular stems into an arrangement designed for special occasions and formal wear. 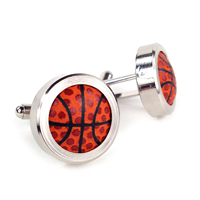 These boutonnières are perfect for homecoming, weddings, prom, banquets and funerals where formal attire is required but where you want to make your own special statement about your love for basketball. From Teamburbank of Edmond, Oklahoma on 12/8/2015 . 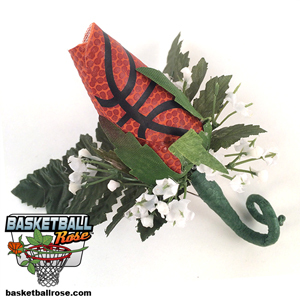 The basketball boutonniere is AWEOMSE SAUCE! I had no idea what to expect and I could not . 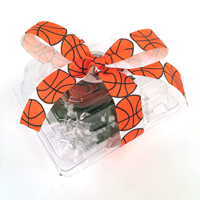 . .
Great idea for your athlete! From Anonymous of Colorado Springs, Colorado on 10/6/2015 . 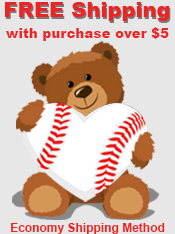 Very genuine idea for your athlete! We bought this for homecoming, and it was really nice to . . .